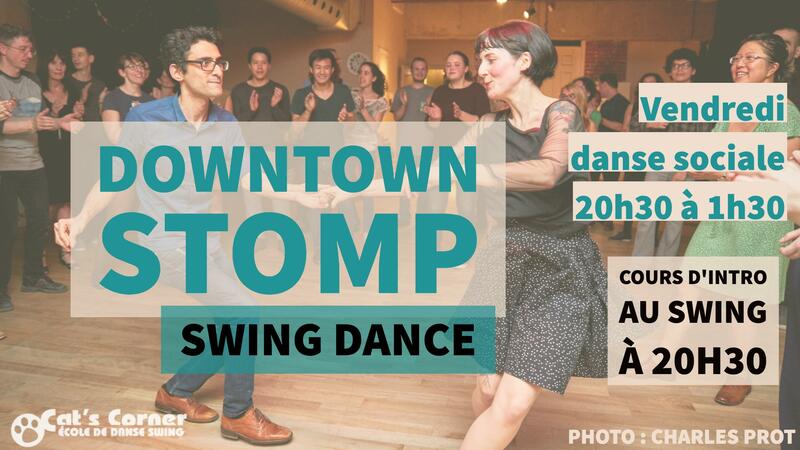 Welcome to the Downtown Stomp (DTS), Cat’s Corner’s social swing dance night! Along with a full night of social dancing every Friday, two lessons are offered each week, all included in the admission price of $10 (cash only). Take the beginner swing lesson at 8:30pm for your first taste of swing or to brush up on your basics. We also offer an intermediate swing lesson at 8:45pm for dancers who have been dancing at least a couple months, with new content each lesson. Social dancing starts at 9:30pm and lasts until 1am. No reservation, experience or partner required. Drop-in and come have fun! We are located at 3451 Saint-Laurent Blvd. on the 3rd floor, north of Sherbrooke Street, right across from the Esso gas station. We ask that you bring a clean and dry pair of shoes for dancing.